The word “mashkiki” means “medicine” in Ojibwe – a translation that plays into the plot of Eau Claire native Anne Miller’s new and first book, Mashkiki Rapids. After graduating from Regis High School and UW-Eau Claire, Anne settled in Ashland and taught English for 34 years. About seven years ago, she began writing Mashkiki Rapids. The book takes place in 1953 and focuses on a young pregnant woman, Elaine, traveling from Chicago. On her travels, she encounters several soldiers, one of which ends up offering her a job at his family’s resort in Mashkiki Rapids. Her adjustments to life in a small town as well as “temptation, jealousy, betrayal, and women’s roles” are all essential aspects of the plot. Anne believes that her characters capture readers’ attention because they’re “believable” and that they are easily rooted for or against. 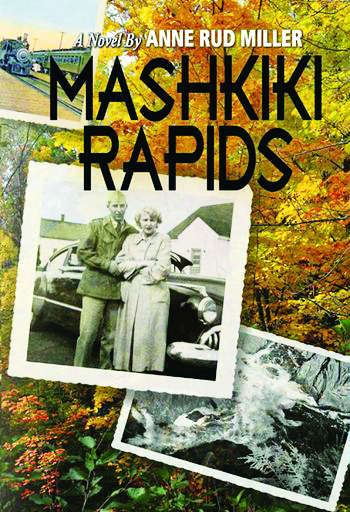 Mashkiki Rapids is written as if you’re listening to someone tell you a story, and you feel like you get to know the characters. Anne shares her overall message of the book, “All things are possible; trust in loved ones is all important; courage and nobility can be found in everyday circumstances.” You can pick up a copy on Amazon or at The Local Store.